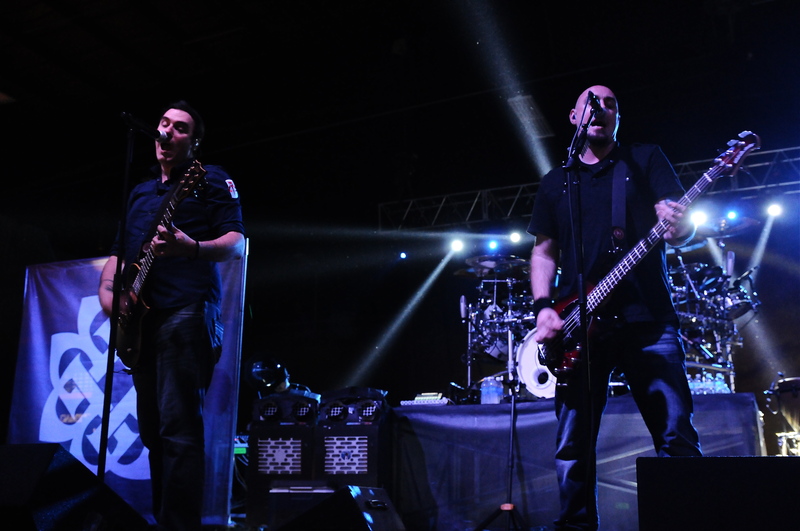 Breaking Benjamin rolled into the Hamburg Events Center Friday evening. This time around the fans were treated to a full electric show as on their last visit to town in the fall, an acoustic show was featured. This show also marked the bands return to the Hamburg venue having last played here in 2007. The band went on hiatus in 2010 and finally in 2014 Burnley announced the band would re-emerge with a new lineup. 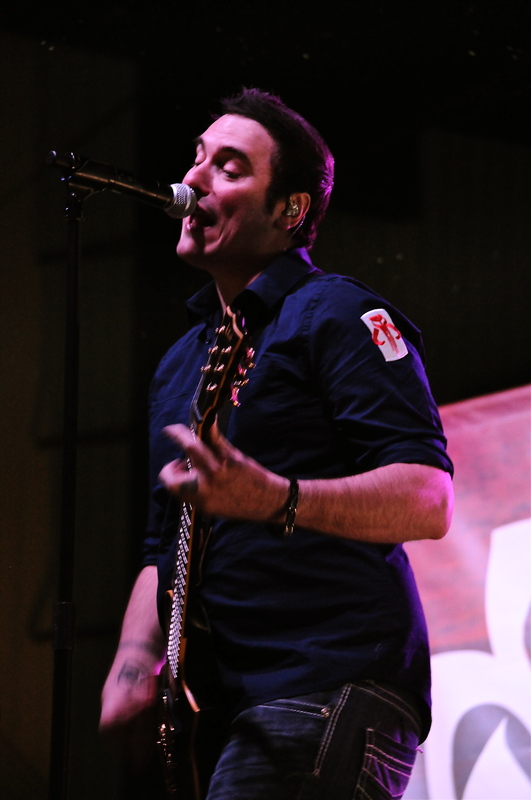 Joining him Friday were bassist Aaron Bruch, Dear Agony co-writer Jason Rauch, guitarist and former Adelitas Way member Keith Wallen and drummer Shaun Foist. This lineup did not miss a beat as they ran through the bands catalog of songs old and new. Things have been going very well for the band recently as their latest release Dark Before Dawn debuted at number one on the Billboard 200 Charts last month. They seemed to harness that success and it carried over into their live show as evidenced by their performance Friday evening. Kicking things off with “So Cold” from We Are Not Alone got things moving in the right direction. 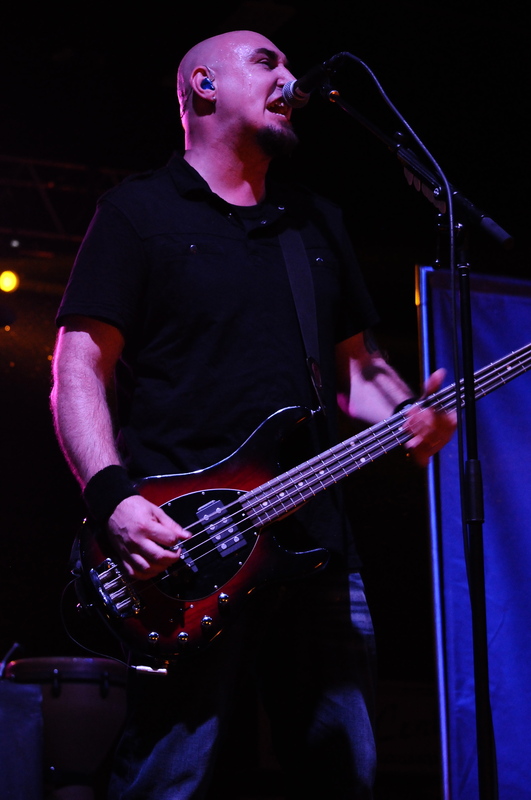 The band mixed in a pair of recent singles “Failure” and “Angels Fall” and surprisingly those would be the only new songs from Dark Before Dawn. 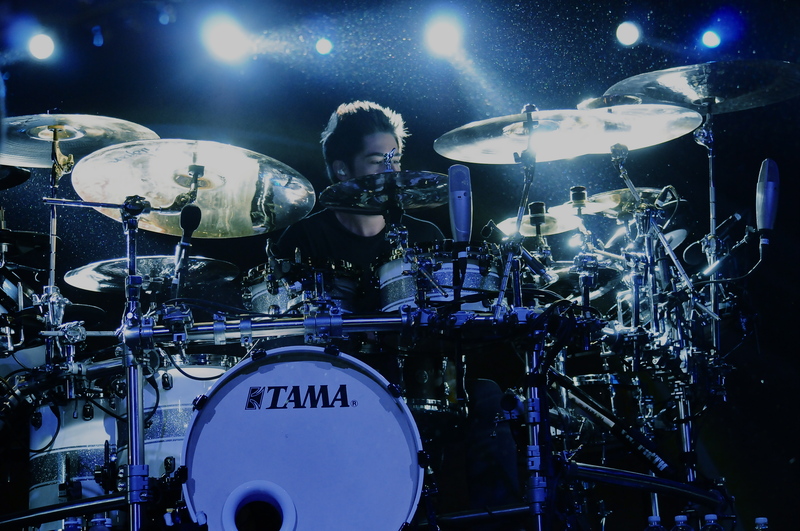 The biggest response from the crowd came during “Breath” and “Give Me A Sign”. Of course the band saved their best for last as the bands best known song “Diary Of Jane” closed out the affair. 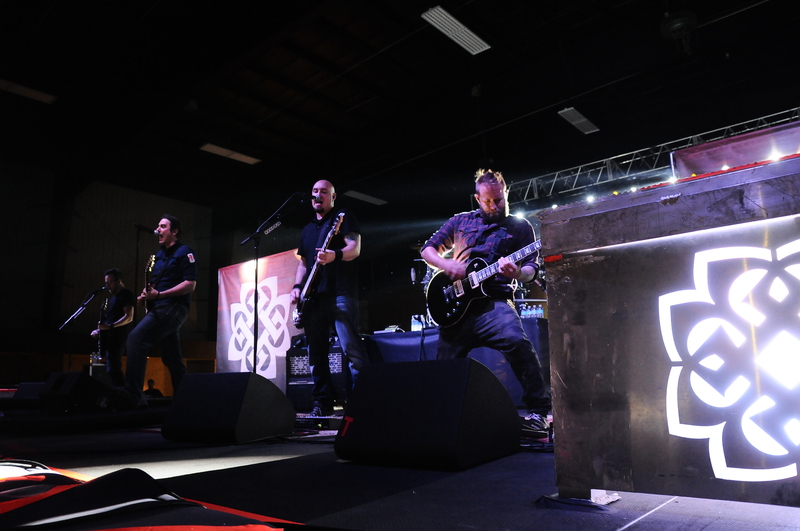 Having the band on hiatus for four years proved beneficial because it gave Burnley time to reflect and make some hard decisions about the future of his band. 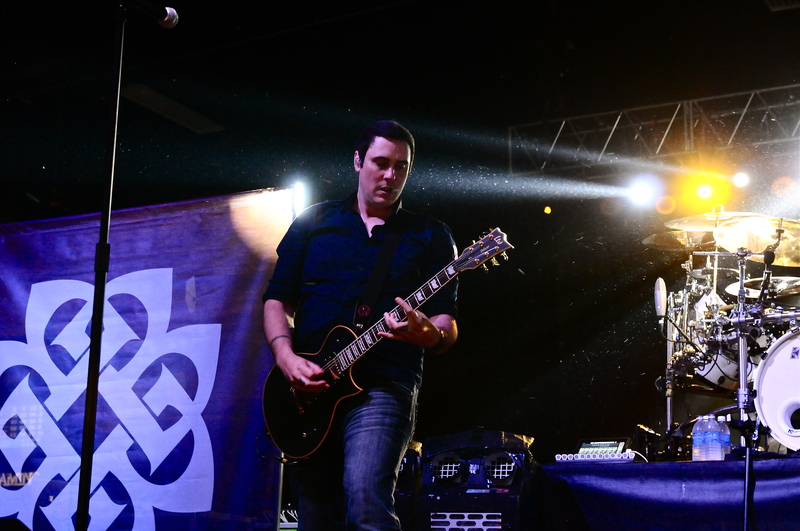 After playing a solid show and the success of their latest album Breaking Benjamin is back and ready for the next part of their journey. Starset opened the show with a solid set of songs from their album Transmissions. 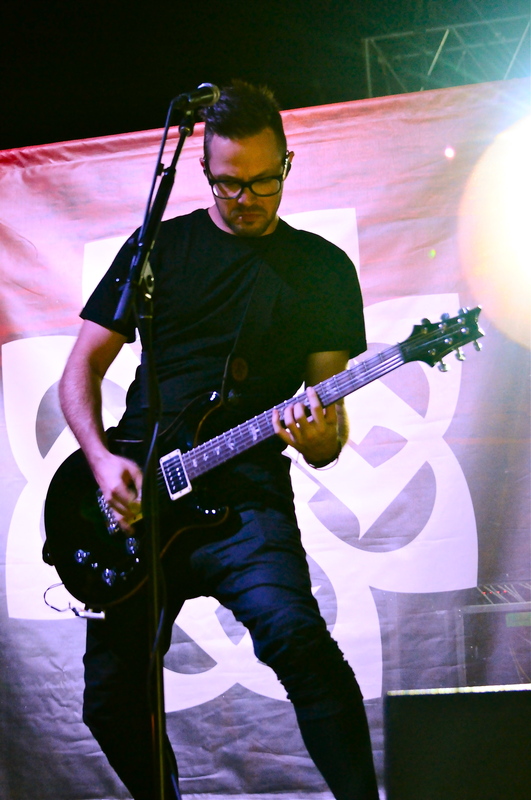 This entry was posted in Concert Reviews and tagged Benjamin Burnley, Breaking Benjamin, Dark Before Dawn, Hamburg Events Center. Bookmark the permalink.